British retailing group, Sports Direct is eyeing up a massive retail unit in Rotherham, vacated by B&Q earlier this year, for a number of new stores - if planning permission can be secured. The 51,000 sq ft mini-warehouse is part of the £6m Northfields Retail Park developed by Henry Boot on brownfield land close to the established Parkgate Shopping retail park. 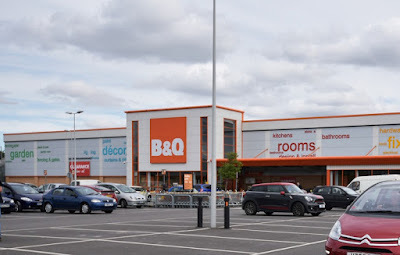 Having only opened in 2009 after relocating from nearby Thornhill, B&Q closed in June 2016 under plans by the owner, Kingfisher plc to "transform its offer" to customers. The store at Cortonwood in Rotherham remains open. With agents brought in to extinguish the B&Q leases as quickly and efficiently as possible, a planning application was submitted earlier this year for the change of use of the building from bulky retail to a flexible use within retail, plus a health and fitness club, or a car showroom. Planning consultants working for Sports Direct have also met with council planners to determine whether the empty building can be redeveloped into units that they would like to see house a Sports Direct store, one for high end fashion subsidiary, Flannels, and two speculative units with mezzanine floors. The company's own health and fitness club business could also move to the site in a unit created by enclosing the sides of the former covered garden centre. The development site has had an interesting planning history. Outline planning permission was granted in October 2006 for a mixed use development of industrial and retail units by the Planning Inspectorate following an appeal against the non-determination of the planning application by the Council. The Planning Inspector imposed a condition so that the units could not be subdivided to create individual units of less than 929 sq m (10,000 sq ft). Conditions on a 2007 amendment also restricted the type of goods that could be sold at the development. It read: "The retail units shall not be used to sell goods other than (a) DIY and Hardware goods, (b) Furniture and Floor Coverings, (c) Electrical goods" and explicitly said that there could be no sales of retail goods such as food, clothes, footwear, sports equipment and toys. A response to Sports Direct's plans has now been published online and the Council states that the use of this site for restricted retail sales has been established but more detail would be needed on the type of goods that would be sold from the units. In line with national planning rules, an assessment would need to be carried out on the impact of the proposed development on other current and planned developments in centres in the area, and on the vitality and viability of Rotherham town centre. As the site is not located within a designated town, district or local centre, a sequential test assessment will also need to be undertaken. Sequential tests ensure that development is located in the most sustainable location first (usually in town centres), before other, less sustainable locations are chosen. Robert Morrell, senior planner at Rotherham Council, concludes that: "The principle of using the building for uses other than industrial and business has been established under the original permission and the former use of the building, without a Sequential Test and Impact Assessment being submitted it is difficult at this time to indicate whether or not an application could be supported. However, it should be noted that given the type of the retail provision proposed it is likely that it would adversely impact on the vitality and viability of Rotherham town centre and other defined town centres within close proximity of the site." Aiming to be the "Selfridges" of sports retail, Sports Direct operates a diversified portfolio of sports, fitness, fashion and lifestyle fascias and brands. It has 700 sports stores across the UK and continental Europe, including at nearby Parkgate Shopping, and 80 premium lifestyle stores in the UK. 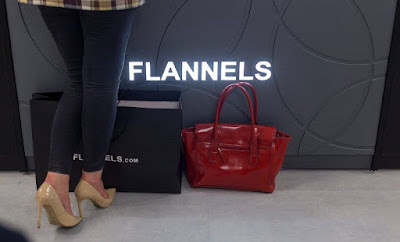 Flannels has plans to open soon in Doncaster. In the 2016 financial year, the group posted revenues of £2.9bn, and underlying EBITDA (earnings before taxes) of £381.4m. In a tough six months, Sports Direct plc recently reported that pre-tax profits fell 25% to £140.2m.